The first sculpture is an abstract representation of two faces, one on top of the other cut from a very dark green serpentine. 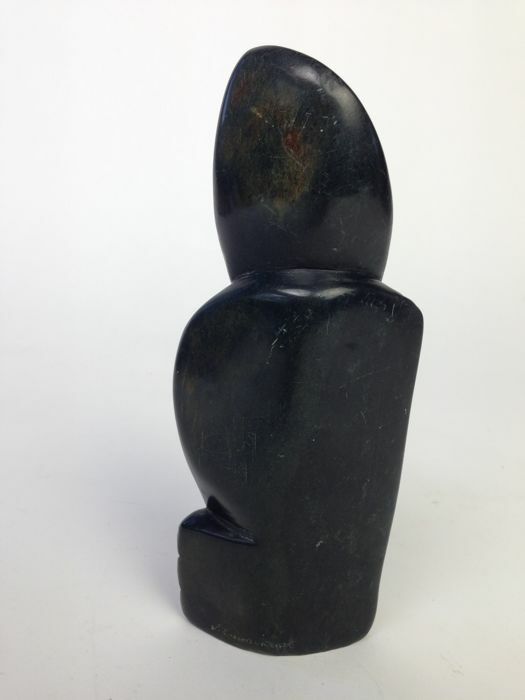 The sculpture is polished to a gloss and surprisingly heavy for its size. 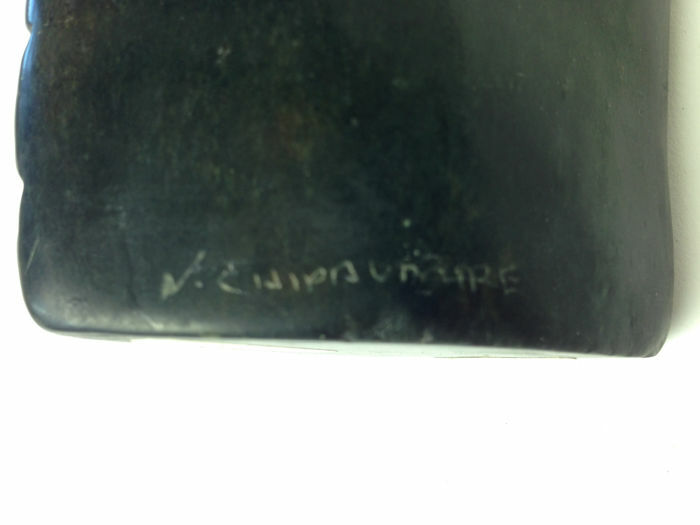 The statue is signed signed v. chipaumire on the back. 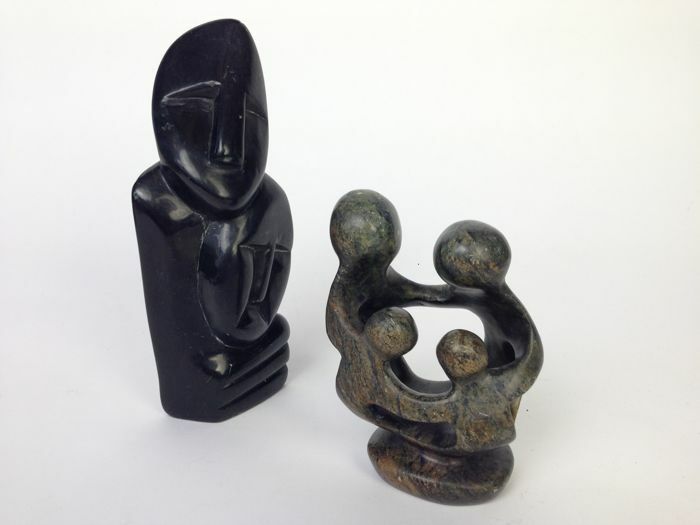 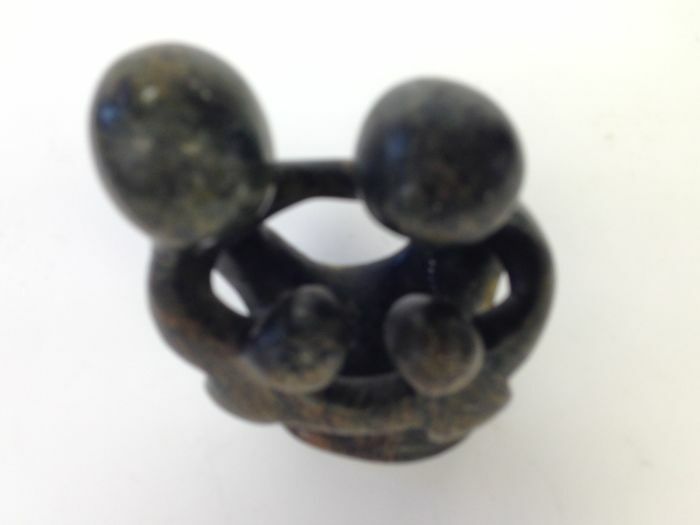 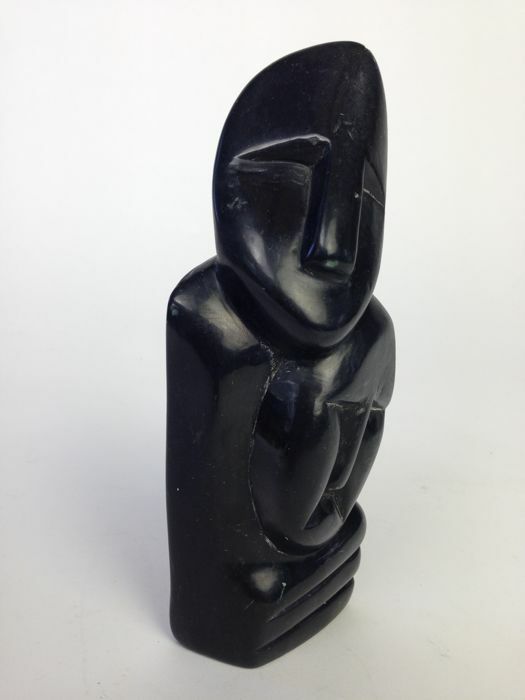 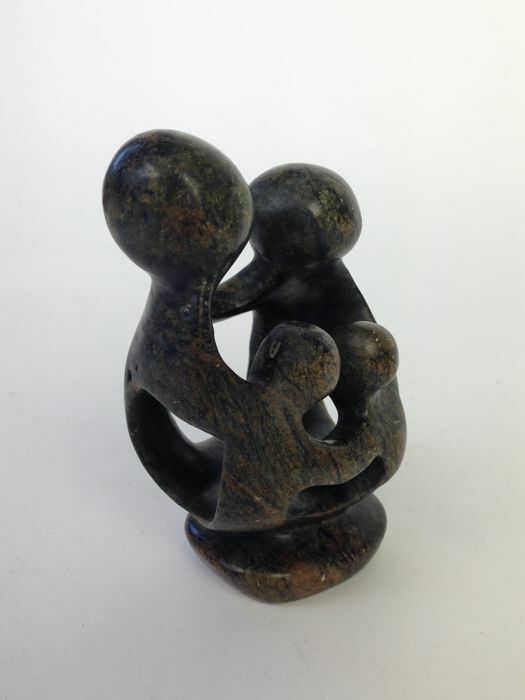 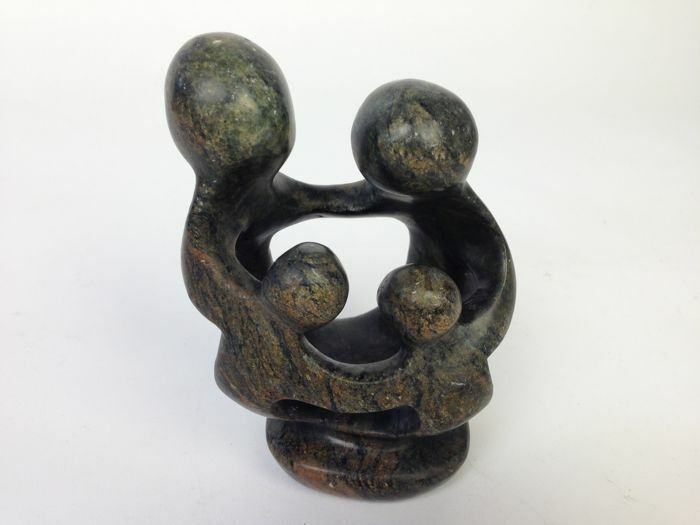 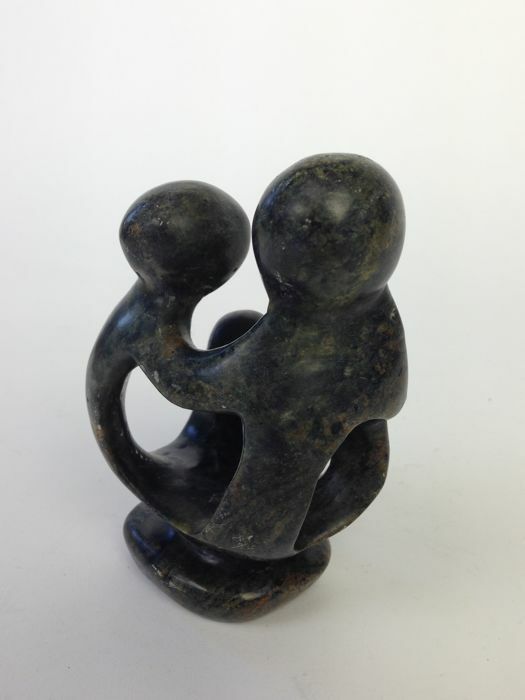 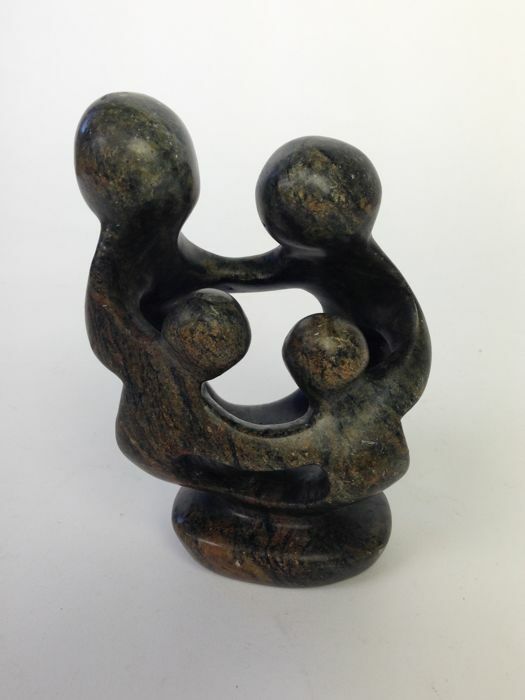 The second sculpture is a classic African abstract of a family of two adults and two children. 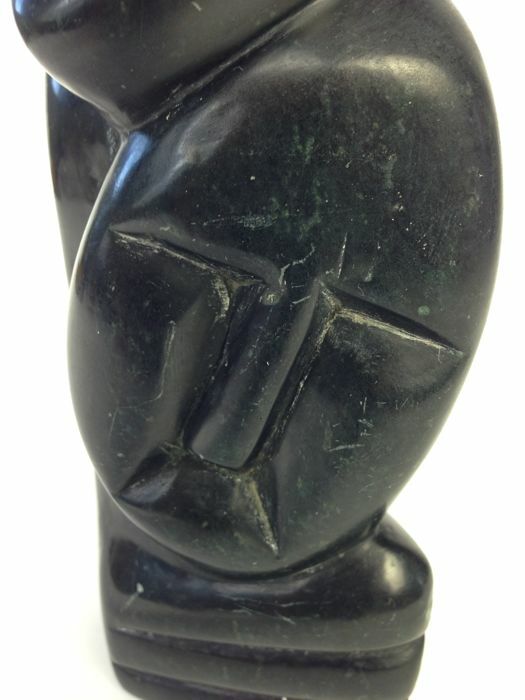 This sculpture is cut from a lighter stone, green with brown flecs and also polished to a gloss. 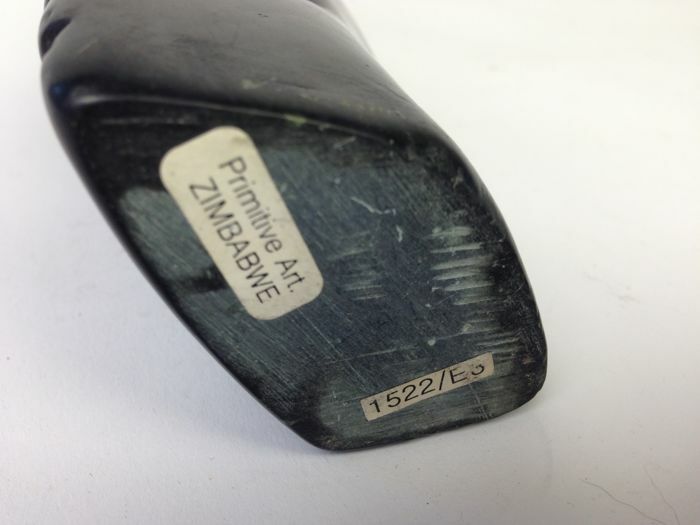 It was made by a Zimbabwan refugee in South Africa and is not signed. 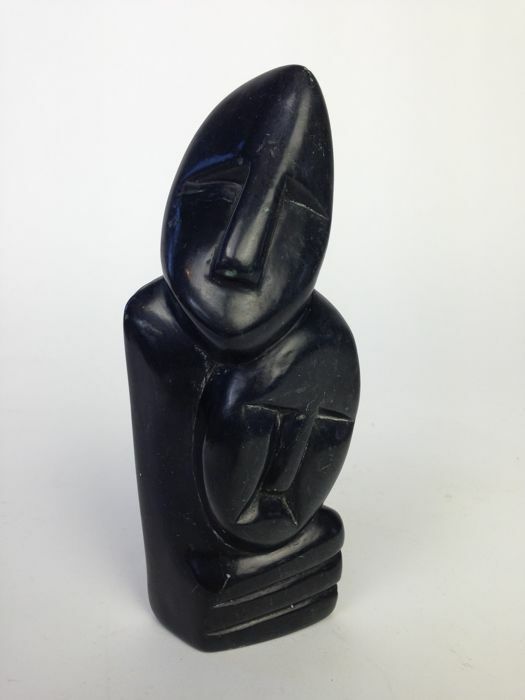 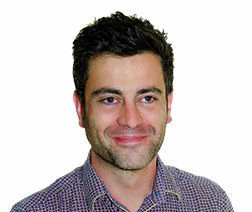 Zimbabwe is the only country on the African continent that has large deposits of stone suitable for sculpting. 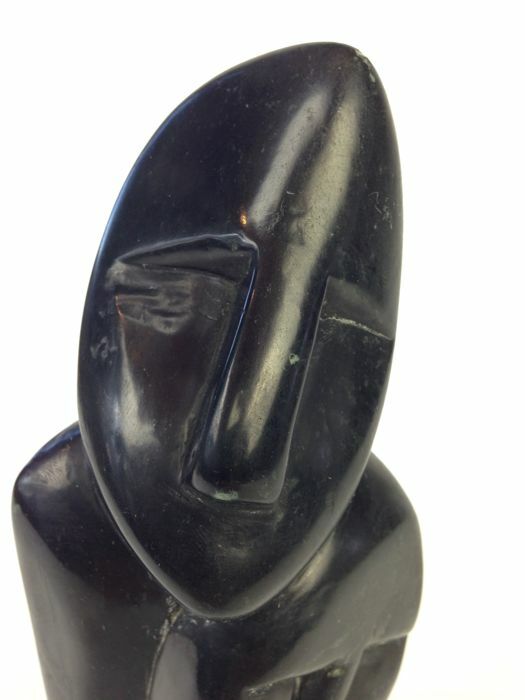 Shona sculpture is named after the largest tribe engaged in sculpting. 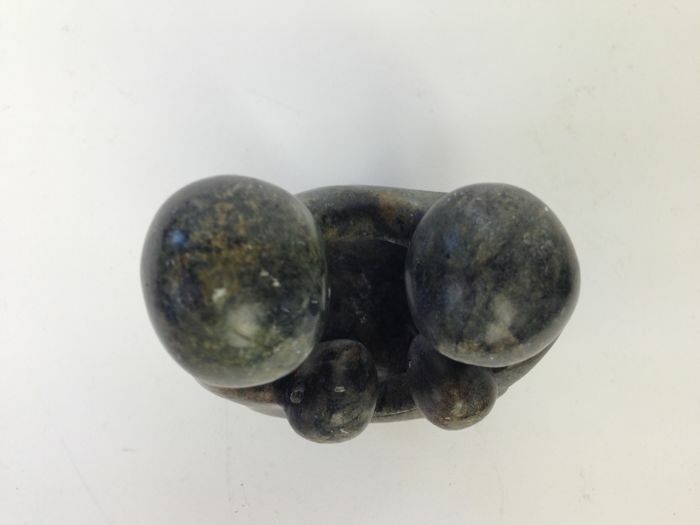 Aspiring artists learn by watching the masters, by observing the stone and finally by picking up the tools and applying themselves to the stone. 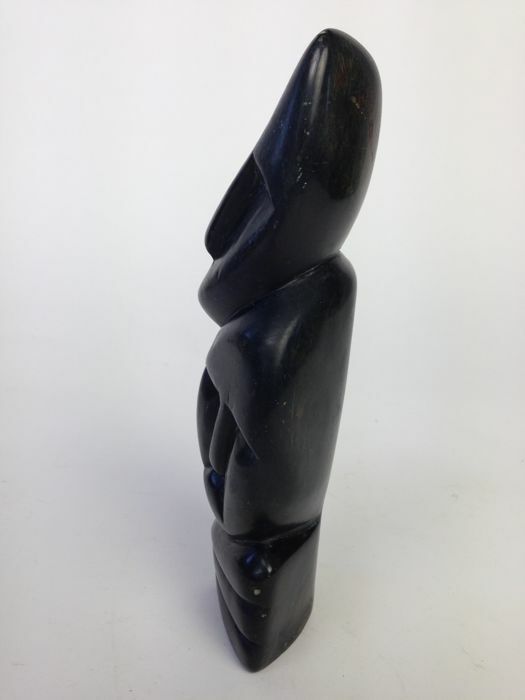 Artists draw extensively for inspiration on traditional culture and beliefs in ancestral spirits. 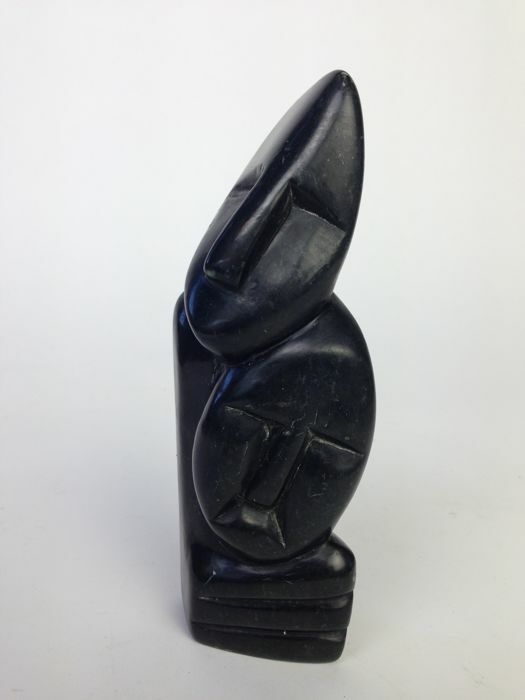 Sculptures are in good condition, no cracks and only minor scuffs. 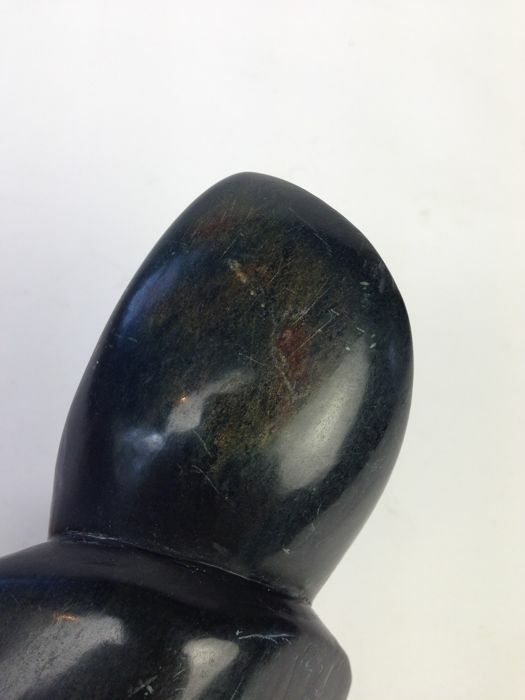 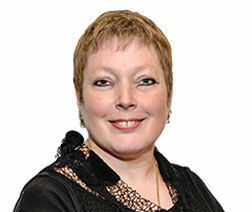 Vous pouvez également retirer ce lot chez le vendeur: Rotterdam (zuid holland), Pays-Bas.